This month Massachusetts has added more GPS tracking to state police vehicles, partly due to an overtime scandal that came to light in April 2018, but the Mass. State Police Union filed a complaint in May 2018. Their objection they say isn’t that they are against GPS tracking, but that the state government didn’t negotiate how GPS would be used before installing and activating GPS tracking. In the first post in our series on GPS tracking at work, we told you about how workers who’ve already been tracked using GPS by an employer are less suspicious of it than those who haven’t. We also recommended that employers who decide to employ GPS tracking stay transparent and open about their use of GPS tracking and set up clear parameters to safeguard employees privacy and assure their employees that the tracking doesn’t mean their bosses are interested in spying on their private life. But what about the police? They have a mandate to keep us safe and they have a right to their safety as well. Without getting deeply into controversial politics, let’s look at the benefits of tracking police vehicles with GPS. One of the main benefits of GPS tracking of any employee, including police officers is accurate timekeeping and accurate payroll. Not only does more accurate time tracking and pay protect employers and government agencies from the types of overtime violations that were going on in Massachusetts State Police E-troop, but it protects police and employees as well by ensuring their superiors are paying them for the time the put in. In a Boston Globe article from May 2018, the former vice president of the International Association of Chiefs of Police, Ronal W. Serpas stated, “GPS can make citizens and officers safer.” Precincts can use GPS to keep tabs on where police are and to dispatch the closest officers to any situation where they’re needed. Plus, police officers are often in favor of GPS tracking of suspected criminals during a chase or of assets. In our next post, we’ll explore how police in California used GPS to apprehend thieves who had stolen valuable merchandise from a local store. It’s clear that police officers are fine with GPS when it’s used on suspects to protect the public’s safety. However, keeping everyone safe cuts both ways. Most police officers aren’t corrupt and they always do the right thing. GPS tracking can both expose and prevent corruption, but it can also protect that majority of a police force who aren’t involved in any wrongdoing. Furthermore, by helping precincts keep accurate time tracking records and with real-time knowledge of where a given police officer is when they’re on duty including if they’re where they’re supposed to be, any illegal activity can be exposed, possibly even prevented. 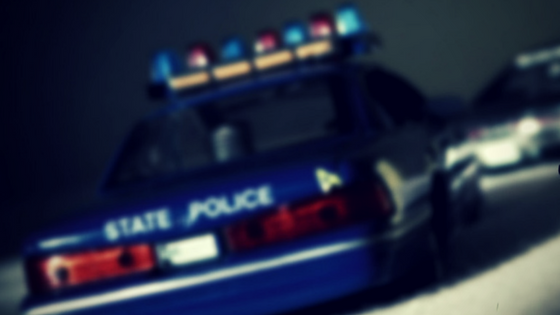 Why is the Massachusetts State Police Union worried? Since GPS tracking can actually keep officers safe, ensure they’re paid properly and exonerate workers accused of any corruption when they’re innocent, why is the Massachusetts State Police Union objecting? Like other police unions, their main concerns are privacy and that data from GPS tracking could be used against police officers in any disciplinary proceedings. But if police aren’t doing anything wrong, GPS tracking data could actually clear them and prevent any wrongful disciplinary actions. But one common police union concern is a bit odd and unfounded. Police unions have historically expressed concerns that contrary to evidence, GPS tracking could compromise police and public safety because of concerns about hacking. However, to date, there is no evidence of police GPS ever being hacked. In reality, GPS helps keep police officers safe because dispatch always knows where any vehicles are. Most concerns on the part of police unions, including the Massachusetts State Police Union, are similar to the issues many employees who have zero experience with being tracked by an employer. However, studies like the one in our other post have shown that employers don’t tend to misuse GPS data or violate their employees’ privacy. Furthermore, police officers have even more experience in the benefits of GPS tracking than the general public because of its use to track both convicted criminals and suspected criminals, as well as its use in asset tracking. Like the rest of us, police use GPS to navigate and in their personal lives as well. GPS tracking, when used correctly can actually protect employees, including police officers. GPS tracking keeps police and the public safe. It helps ensure more accurate payroll and it both prevents corruption and protects police officers who follow the law and correct procedure from accusations of fraud and illegal activities. As long as governments are transparent about how they use data from GPS tracking of police vehicles and don’t abuse it, there’s no reason for police to fear the devices. What are your thoughts? Should we be tracking all police vehicles or are the unions right to be concerned? Leave your thoughts in the comments section below.